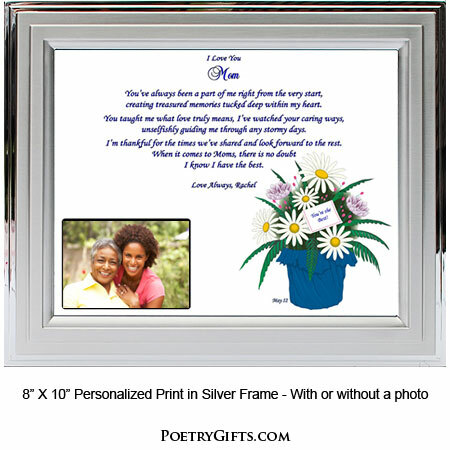 You Know She's The Best Mom Ever...Now it's time to let her know with this EXCLUSIVE Poetry Gift. 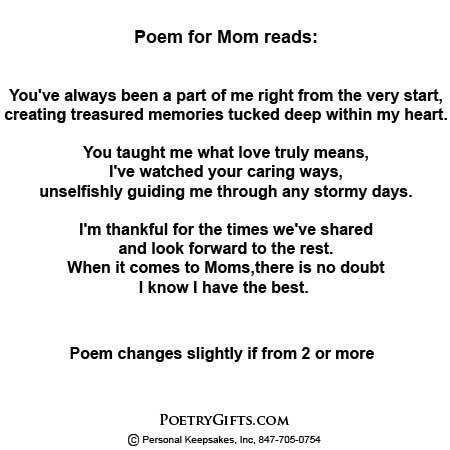 A heartfelt poem that expresses how you feel about your mother. We personalize this lovely print with names, date, and a closing message from you. It's the perfect birthday or Mother's Day gift for a mom from a son or daughter. Also a great "Thank You for Being a #1 Mom" present from the kids. 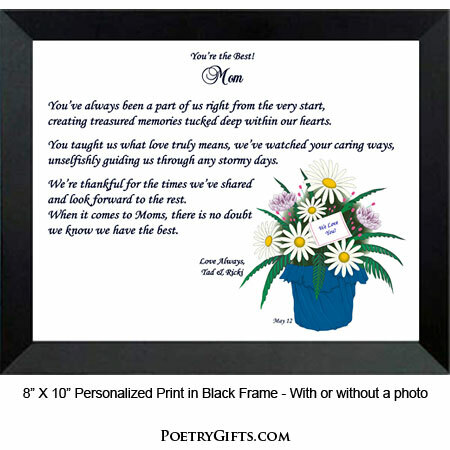 She's your mom and she deserves the best so why not give her a heartfelt poem from you along with a basket of flowers. 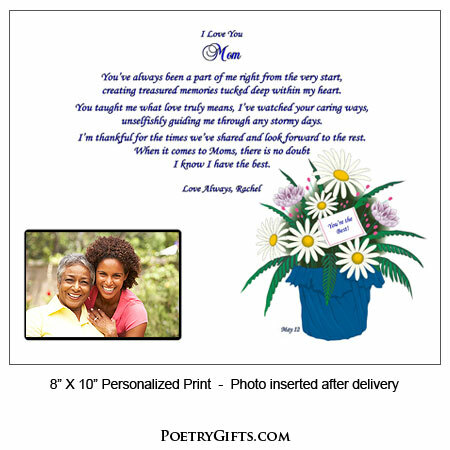 We personalize the poem with names, an optional special occasion date, and a closing message. And we even give you the chance to put a special message to mom on the gift card that appears in the basket of flowers. This is a personalized gift that will surely touch her heart. Add a favorite photo of you and her to make this a lasting keepsake. Great accessory for mom's desk or dresser. Guaranteed to get you extra hugs.